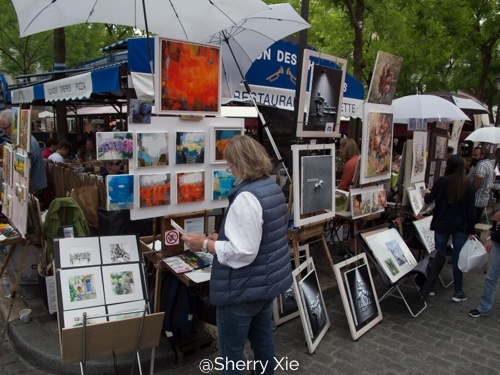 Paris, a city filled with arts; everything reminds me of art; and I’ve immersed in it for seven full days. It started with my stay at this art historian’s bachelor studio near Eiffel tower. 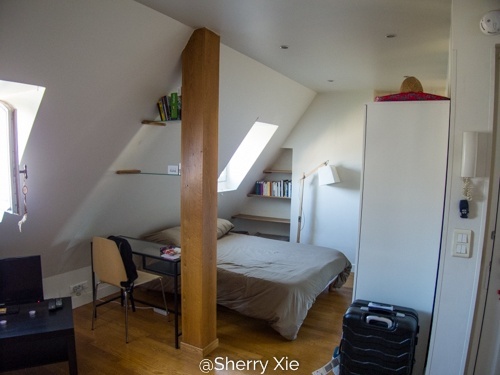 A very nice studio that has everything, and most importantly, you can see the Eiffel tower from the window! Her bookshelf is full of art books, from Ai Wei Wei, Picasso, to Kenzo. 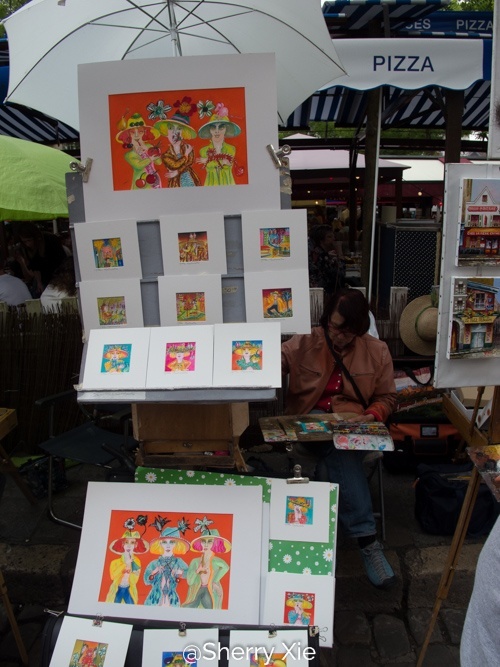 I visited Montmartre on my second day. 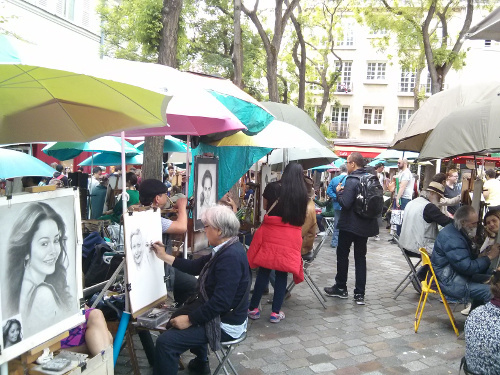 I’ve walked up and down the hill twice to find this place: Place du Tertre. 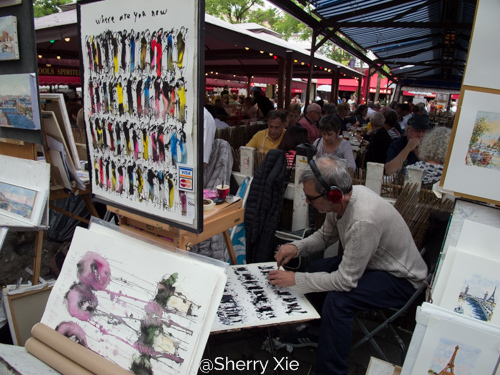 It’s a little bit crowded with all the cafes around the area, but I love to see people draw and paint. It really shows their skills. 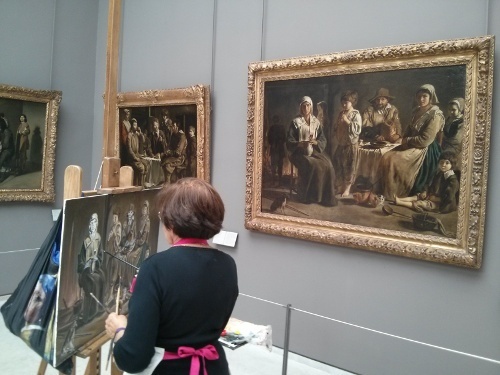 Then, Musée du Louvre. I got to chat with the lady in the first picture. 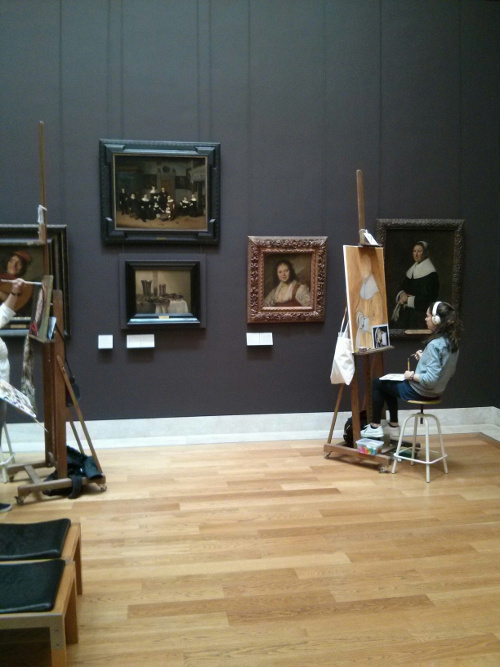 She booked one month time at the museum for this painting. She wants to get all the colors right before finishing up the details at home. 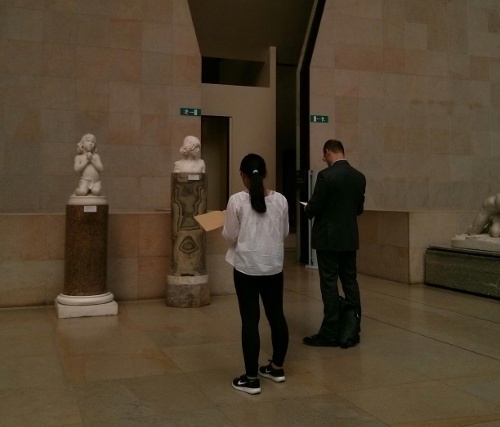 Musée d’Orsay: a lovely girl was drawing the sculpture with her aunt’s help on the side. Occasionally, she would go up close to get all the details, and took a peak on how the other guy doing. 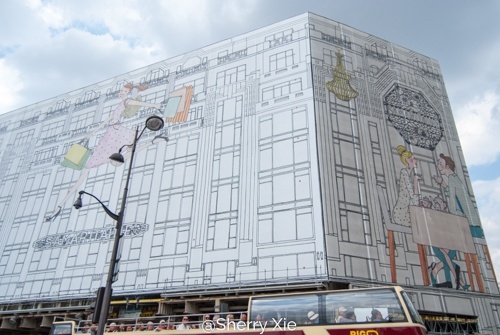 Even the gigantic board that covers construction or renovation of the building has this cute illustration.